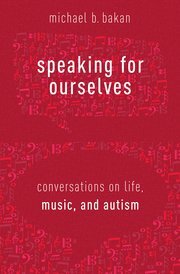 | 2015 | “‘Don’t Go Changing to Try and Please Me’: Combating Essentialism in the Ethnomusicology of Autism“ — Ethnomusicology 59(1): 116-144. | 2014 | “The Musicality of Stimming: Promoting Neurodiversity in the Ethnomusicology of Autism” — MUSICultures 41(2): 133-161. | 2014 | “Neurodiveristy and the Ethnomusicology of Autism” — College Music Symposium 54. 27 pages (online journal). | 2014 | “Ethnomusicological Perspectives on Autism, Neurodiversity, and Music Therapy” — Voices: A World Forum for Music Therapy 14(3). 23 pages (online journal). 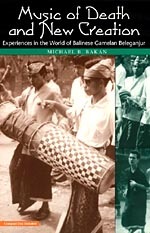 | 1998 | Walking Warriors: Battles of Culture and Ideology in the Balinese Gamelan Beleganjur World — Ethnomusicology 42(3): 441-484. | 1998 | From Oxymoron to Reality: Agendas of Gender and the Rise of Balinese Women’s Beleganjur in Bali, Indonesia” — Asian Music 29(1): 37-86. | 1998 | “Way Out West on Central: Jazz in the African-American Community of Los Angeles before 1930” — California Soul: Music of African Americans in the West, edited by Jacqueline Cogdell DjeDje and Eddie S. Meadows, 23-78. | 1994 | “Lessons From A World: Balinese Applied Music Instruction and the Teaching of Western ‘Art’ Music” — College Music Symposium 33/34: 1-22. | 1990| Bakan, Michael B. et al. 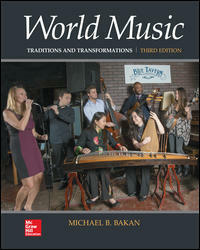 “Demystifying and Classifying Electronic Music Instruments” — Selected Reports in Ethnomusicology 8: 37-64. | 1986 | “West African Drum Languages” — Percussive Notes 24(2): 29-30.